August 25, 2010: We needed to arrive at the hospital around 6 AM, with our son staying at a friends, we checked in while the whole hospital seemed asleep. It took a couple of very causal hours up in the Pediatric Intensive Care Unit to prep her gently for surgery. 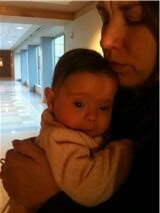 She was just 5 months old, and we hadn’t been back to that hospital for 3 months. Living there for the first 2 months of her life was the most trying time in my life. To be back came with very mixed emotions. Life saving surgery. 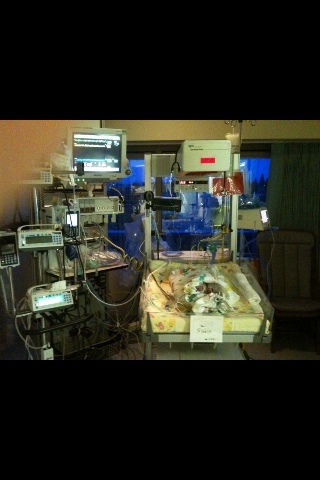 Baby on life support. 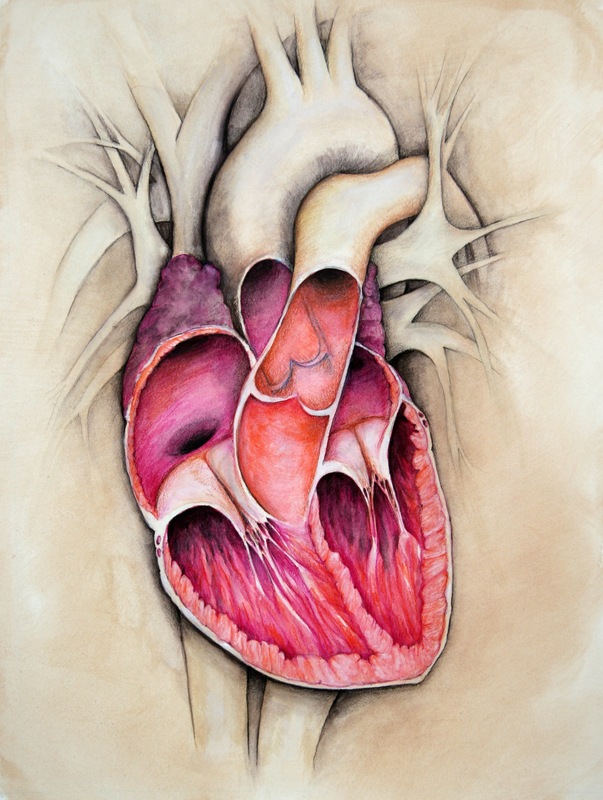 Open-heart surgery. Huge risks. Huge rewards. I managed to hold it together that morning. Handing her over was very difficult, and the next 3 hours very long. The ride over the next few days was very bumpy, last year’s anniversary post is here. Our stay was 10 days and I felt like I came home with a new baby! You cannot take away the very real risks involved with any surgery, for anyone. Especially not this type of surgery. We are extremely fortunate to live very close to a children’s hospital who had a very amazing heart surgeon. I feel extremely blessed every time I remember the experience. And every time I look at her chest scar I feel gratitude and joy. That scar is one of the best things that ever happened to her. I love her scars, every one of them. Being two years away from that day is also a blessing! 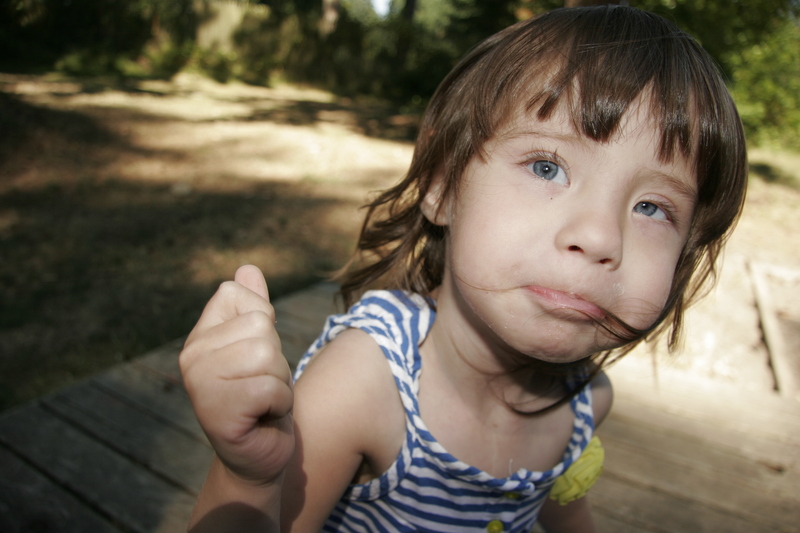 We have a little heart-healthy girl, on no medications, and can be active and enjoy life to her fullest extent. We are also 2 years closer to the next time we must take her into open-heart surgery. Still a ways off, but in about 6-8 years it’ll be time to do it again. This time with more trepidation since the procedure to repair her coronary artery defect is controversial, comes with the same risks as all other open-heart surgeries, and she’ll remember. But we are granted with the luxury of time right now! So I get to tuck that away for another day. Looking back and remembering, I think sometimes how impossible it nearly was for me to endure these events as a mother. As a family we went through some serious hell. River was so ill and fragile, and endured so many health complications and procedures, my heart stops when I think of it all. Truly impossible: life without River. As I mentioned a while back I was working on a theme for my art this spring quarter at school. The Evergreen State College is a great place to attend school, they have a wonderful program called Individual Learning Contracts. Which gives you the freedom to occasionally pursue your passions, and earn credit for them. 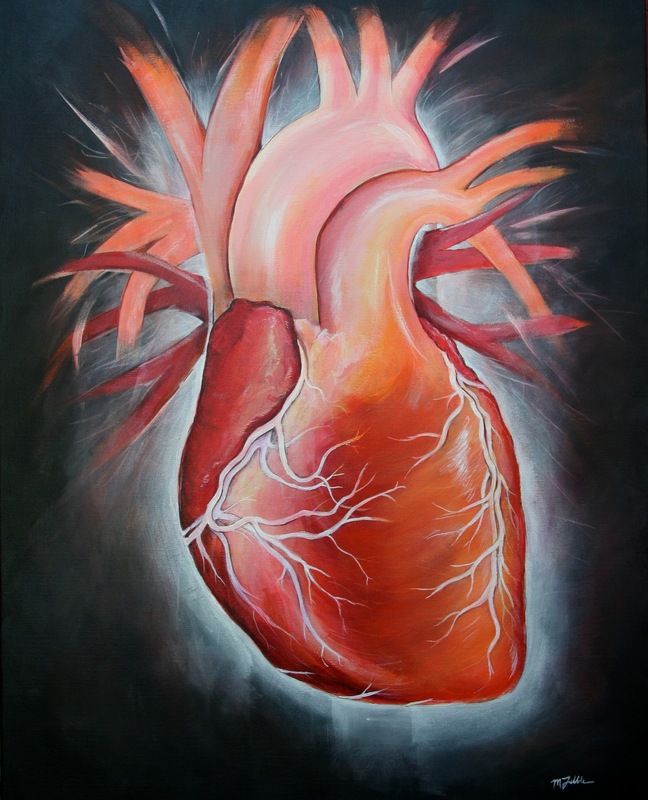 I chose to recently pursue a painting contract that revolved completely around River’s heart defects. 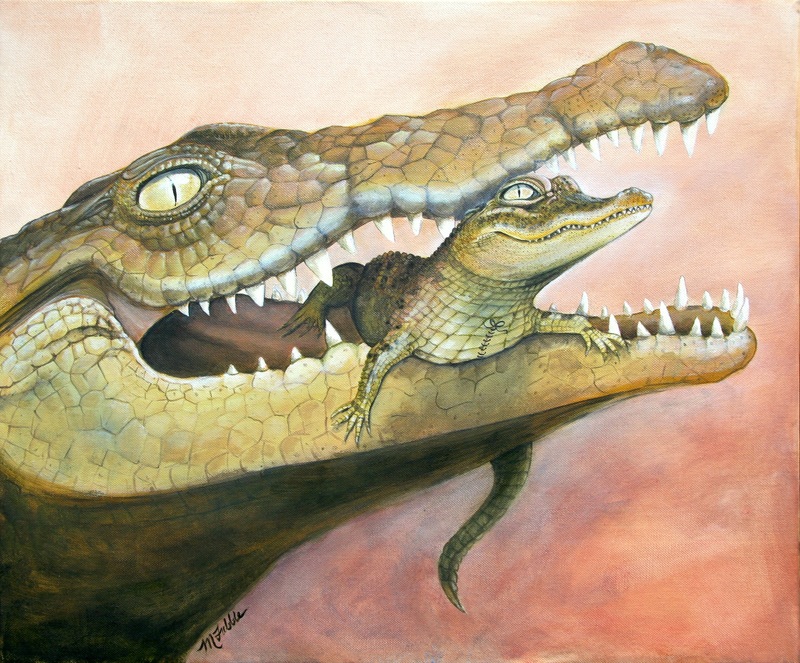 I wanted to explore my relationship to them, and also to do some medical illustration. I was fortunate enough to have assistance from River’s Cardiologist Dr. Derek Obayashi, who sadly is leaving our clinic to go to Boston. Big Frowny Face. 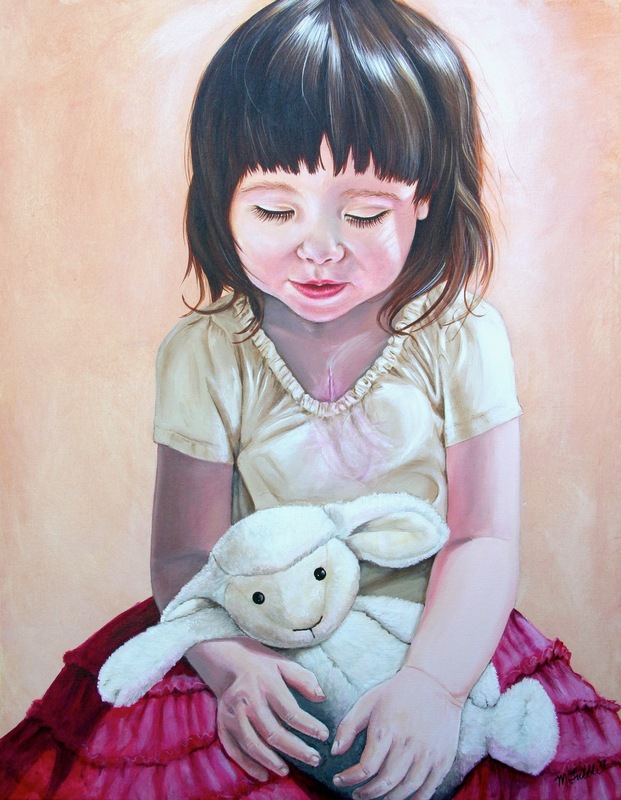 He was a huge help in having a specialist to show my work to so I could be corrected and learn greater accuracy. He was also very willing to further teach me about congenital heart defects! Dr. Obayashi has known River since she was one day old. 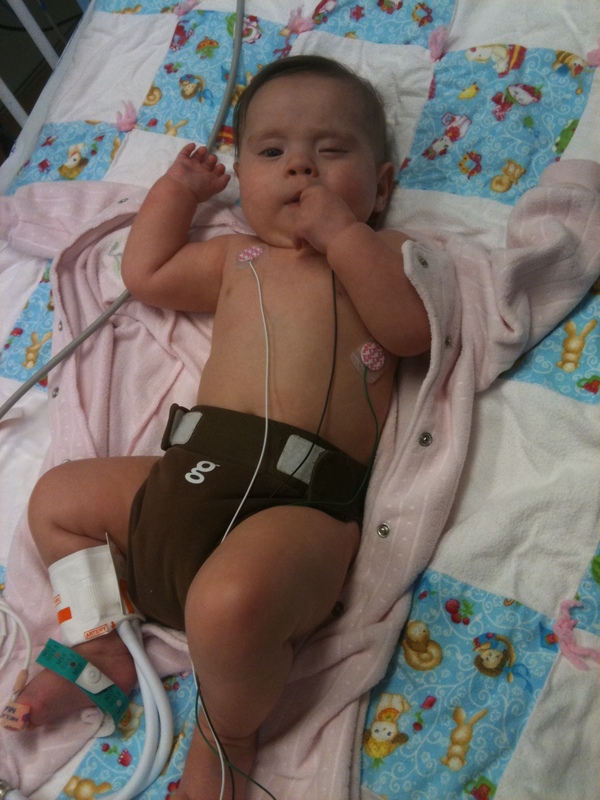 On this day, the 25th of August 2010, River had her 2nd heart procedure, 1st open-heart surgery, to repair her large VSD that was causing her heart failure. This day was, needless to say, a very big deal. The surgery was much needed and River had lived 5 months of her life in heart failure, and everyday leading up to surgery seemed to get harder and harder. She was in full swing oral aversion by then, and that was not too change. What I remember most of all was the part where I had to turn her over. Actually every time I’ve had to do that is the most difficult for me. I couldn’t believe I had to trust all of these other people to take care of her, her life literally in their hands. But I did it anyway, I gave her to them, I entrusted them with her life. And gratefully, they gave her back to us. I was at peace with this surgery, unlike the first time around when she was only 2 weeks old and so tiny and fragile. I was excited for her to finally live and breath easily. To see her not struggle just to do the normal things a baby should be doing. Her VSD repair went amazingly well. 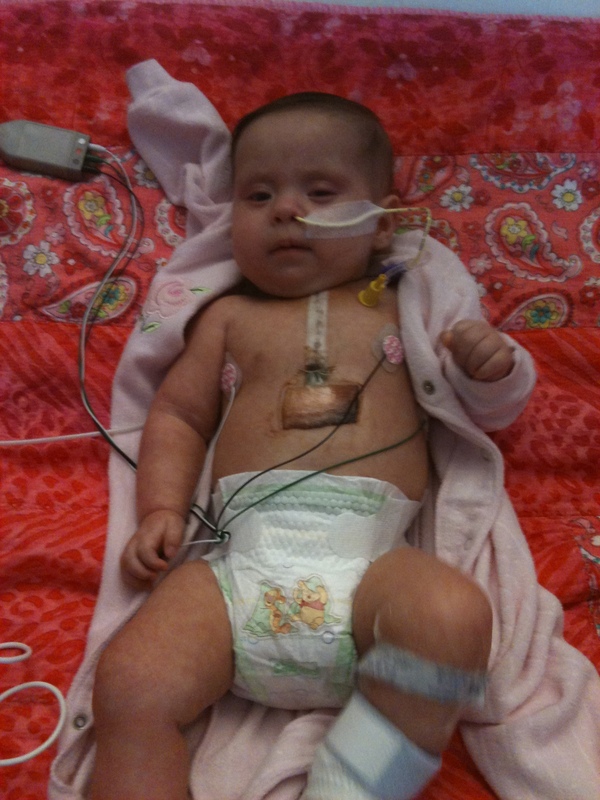 In the following 48 hours she had to be on CPAP for her breathing, but eventually she was more stable. And as each day went by in the 10 days of her hospital stay she grew stronger and stronger. She healed very well, and her little personality shined through. She was actually happier in the end. She smiled more than ever before. You could tell that she felt better! It was the result that everyone prayed for. August 25th was a good day! A day that the miracle of modern medicine saved my daughter. In a few short days we are going to have to do it again. I will give her over to strangers and hope and pray that everything will go as expected. I do my best to stay positive, but it doesn’t matter. I’m a mother, and I worry. River at Mary Bridge, almost time to go home! This week (February 7 – 14) is Congential Heart Defect/Childhood Heart Disease Awareness Week. It is an excellent time to spread awareness of this devastating condition. My painful and involuntary introduction to being a heart parent happened shortly after River was born. Since River was born a “2 vessel baby” (she had Single Umbilical Artery in utero) she got a mandatory echocardiogram. SUA babies have a 40% chance of heart defects. Fortunately this was necessary. And this had nothing to do with her significant prematurity. They caught her defects right away. Many other babies are not so lucky. Her first surgery was a left thoracotomy(surgery going into the left side of her chest) and it was an “extended end to end repair of the coractation of the aorta”. This surgery took place on 3/31/10. River was 1.7 kg, and only 2 weeks old. In other words: TOTAL NIGHTMARISH EMOTIONAL TRAUMA. I just went over all of my day to day “diary” entries on Carepages, the way I used to keep our family and friends up-to-date on River’s progress. I was so factual, and put a positive spin on everything I wrote. I tried desperately not to scare everyone, or let them know what a total and complete wreck I was. I didn’t want them to feel my pain, I didn’t want them to cry everyday like I was. 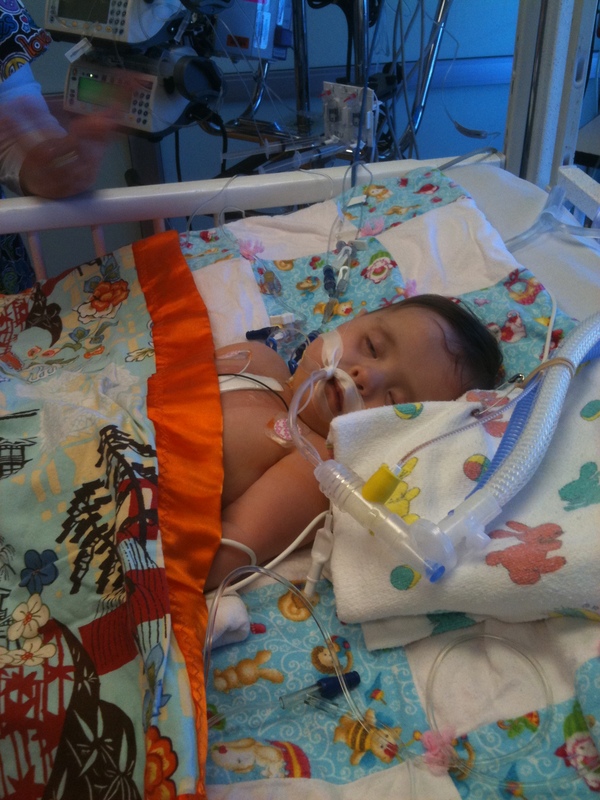 3/31/10: River is now currently recovering in the Ped ICU. She had a successful surgery, and the surgeon Dr. Ronald Woods was very pleased and said everything went as well as it could go. The surgery was to repair the Coarctation of her aorta. It was done through the left side of the chest (thoracotomy) and it is considered “closed heart surgery”. She will be recovering for the next 24-48 hours in the PICU, then will be relocated to the Mary Bridge ward for a few more days. Following a hopefully speedy and uneventful recovery, she will then be moved back into the NICU to continue her preemie treatment until her eventual home coming. 4/1/10: Today’s progress has been good. River’s chest tubes came out very early today. 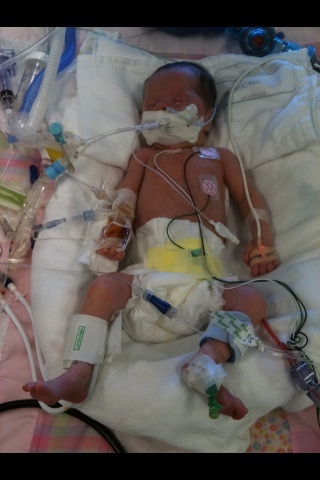 Her breathing tube will be removed soon. They are concerned about fluid in her lungs, but it has been getting better throughout the day. They expect her to be out of the PICU by tomorrow and by to the NICU and back on track to feeding and growing. 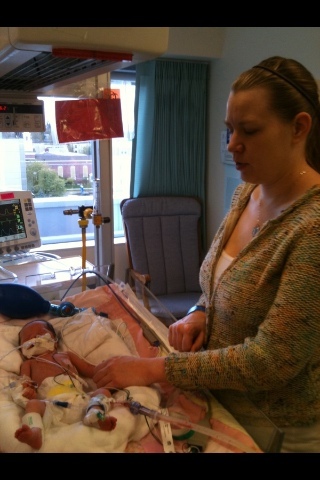 4/2/10: River’s breathing tube was removed yesterday afternoon. She is back on CPAP to assist her with her breathing, her symptoms related to her breathing are just still due to her preemie-ness and not her heart. Currently her heart is sounding good. She will begin feeding today again, breastmilk delivered through a feeding tube. 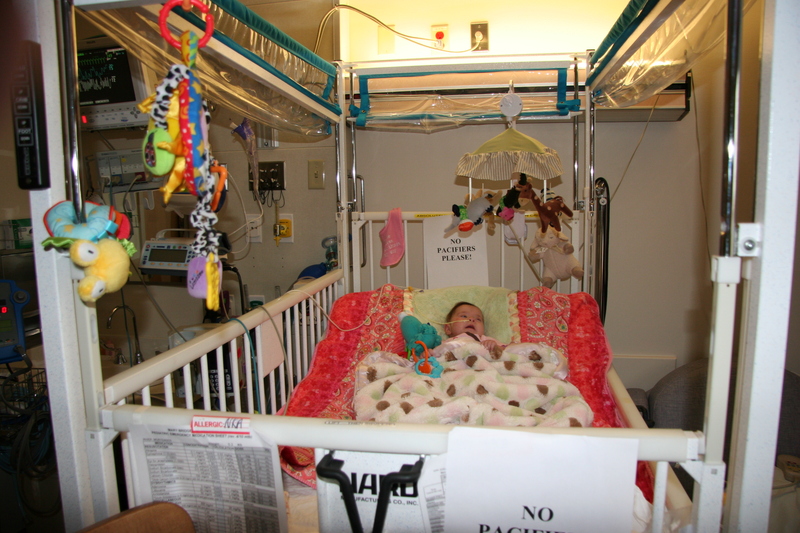 She is expected to be released from PICU tomorrow and go back downstairs to the NICU. Her heart surgery recovery(incision site, etc) has gone well. This was all very true, but so lacking in the truth of the matter. If you read between the lines you might read that I saw my baby stop breathing and turn gray and watch the PICU team jump into action. You might read that I was losing my mind with anxiety and fear. 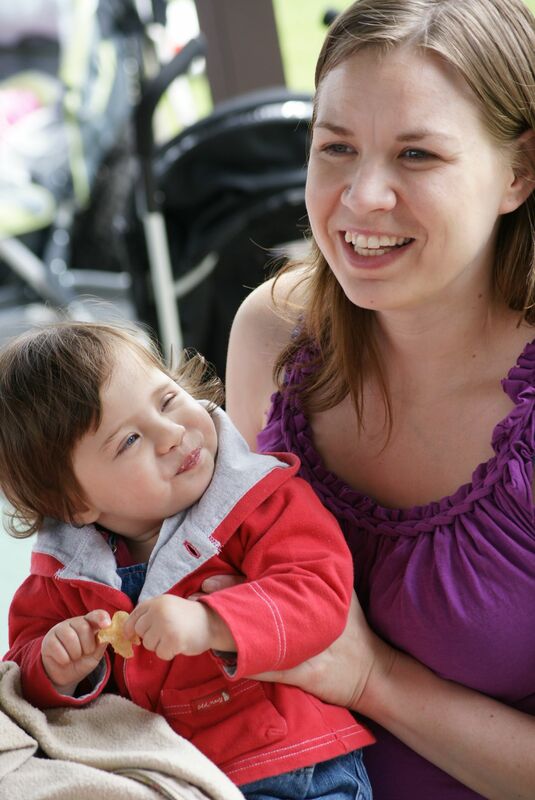 You might truly understand what it could be like to be the parent of a baby with CHD. Below are some pictures I’ve never shown. They break my heart, but now it’s in the past I can share them. Below is a CHD fact sheet. Research is terribly underfunded! Please raise awareness! Congenital heart defects are America’s and every country’s #1 birth defect. Nearly one of every 100 babies is born with a CHD. Congenital heart defects are the #1 cause of birth defect related deaths. 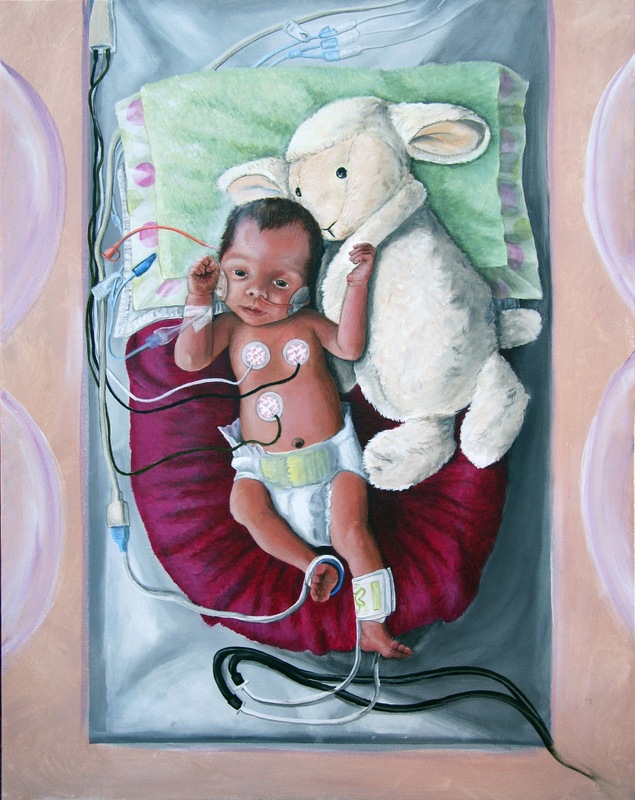 Congenital heart defects are the leading cause of all infant deaths in theUnited States. 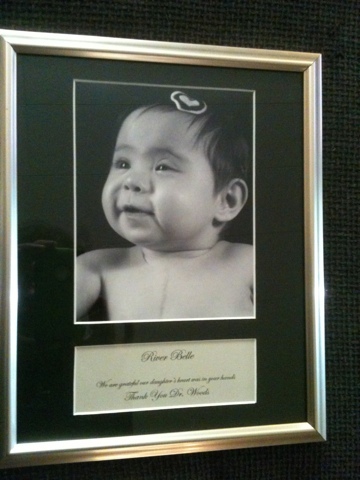 Each year approximately 40,000 babies are born in the United Stateswith a congenital heart defect. thousands of them will not reach their first birthday and thousands more die before they reach adulthood. 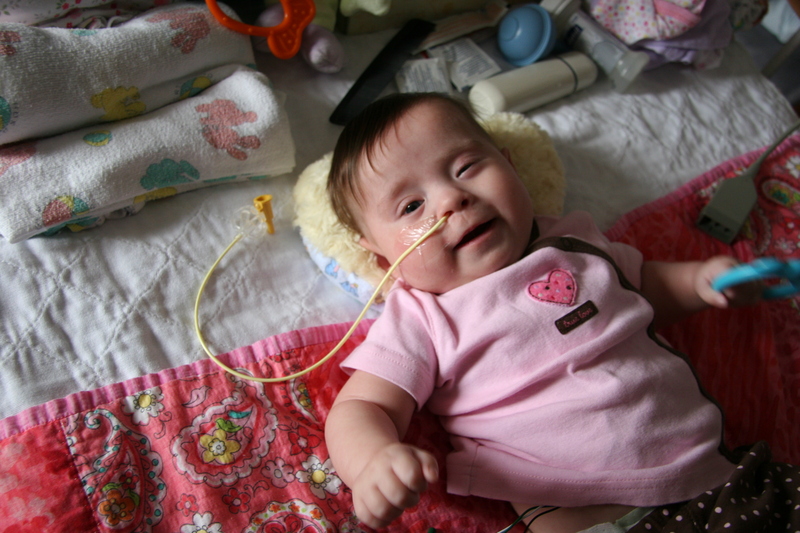 Each year over 1,000,000 babies are born worldwide with a congenital heart defect. 100,000 of them will not live to see their first birthday and thousands more die before they reach adulthood. The Children’s Heart Foundation is the only organization that was created to exclusively fund congenital heart defect research. The Children’s Heart Foundation has directed $3 million to 34 basic science, translational and clinical CHD research projects at leading research centers across the US and Canada. CHF has published and distributed 15,000 copies of It’s My Heart, a patient and parent resource book. CHF has established five Chapters and has volunteers in many USstates. More than 50% of all children born with congenital heart defect will require at least one invasive surgery in their lifetime. 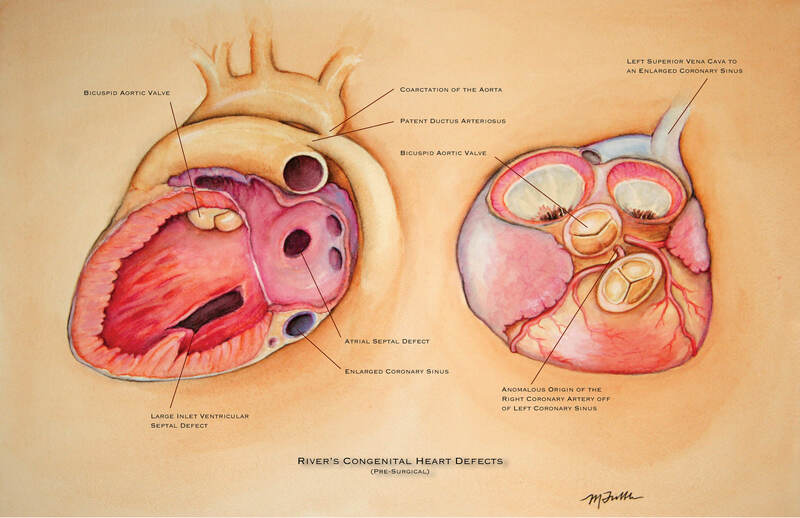 There are more than 40 different types of congenital heart defects. Little is known about the cause of most of them. There is no known prevention or cure for any of them. In the United States, twice as many children die from congenital heart defects each year than from all forms of childhood cancer combined, yet funding for pediatric cancer research is five times higher than funding for CHD. Congenital heart defects are common and deadly, yet CHD research is grossly under-funded relative to the prevalence of the disease. Only one penny of every dollar donated to the American Heart Association goes towards congenital heart defect research. Of every dollar the government spends on medical funding only a fraction of a penny is directed toward congenital heart defect research. The NHLBI has stated that Congenital Heart Defects are a serious and underappreciated global health problem. In the last decade death rates for congenital heart defects have declined by almost 30% due to advances made through research. I found out recently that River’s cardiac surgeon is leaving Mary Bridge. This made me very sad, but also reminded me of just how grateful we felt that he was our baby’s doctor. Dr. Ron Woods is one of those people you meet that you will never forget, and one of the most important people in our lives. Granted he also must have an amazing team surrounding him to do his job well, it was also his skill and love of the craft that makes him so good. When River first had to have surgery, at only 2 weeks old, and very tiny, only 1.7 kg, we were of course petrified and thoroughly living a trauma, not much could make us feel better, but after Pete met with Dr. Woods he was at peace, and told me I had nothing to worry about. I of course didn’t get that, I hadn’t met him yet, and I was living through the worst days of my life. But after speaking to him, I also felt the same confidence. He said all the kids he works on were his kids, that when he’s in surgery, they might as well be his own babies. He told us he wanted to be a cardiac surgeon since he was 6 years old. He told us that this is what he was meant to do, a true calling, and that is why he is on this earth. I can’t even talk about Dr. Woods without tears in my eyes!!! He also did River’s VSD repair surgery, when she was also so small and fragile, 5.3 kg this time. I was not as terrified this time, and I knew if River could get through what she’d already lived, that she could pretty much beat anything, and having Dr. Woods and the familiarity of the hospital and nurses, I felt again at peace, and I knew everything would be ok. Anyway, so we put together the only thing that we thought could say “thank you for saving our daughter’s life”. I mean how do you say something like that? It’s so hard, but we thought just a simple picture of our baby, her smile, her alive was the best gift.